Day tickets for the Alness Angling Club waters are available from Kardz shop in the middle of Alness high street. Catch and release for salmon and grilse is suggested, however visitors may retain one salmon or grilse per week, to be male fish under 10lbs. Please note that worming is prohibited after 15th September. The season ends 31st of October. For worm fishing please use circle bait hooks. 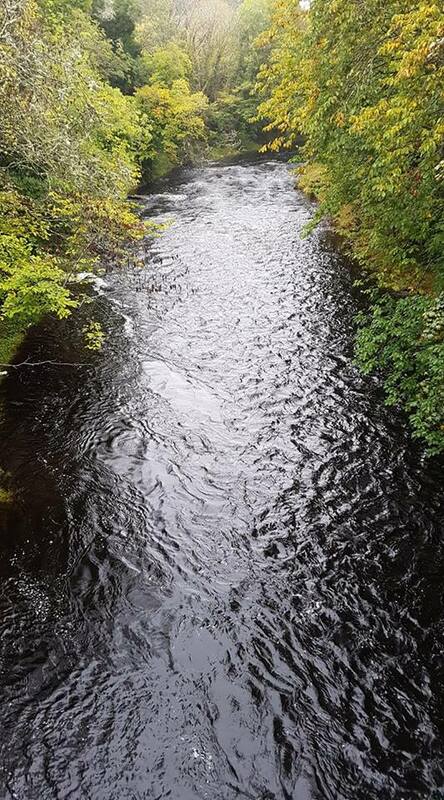 The beat starts 100m downstream of A9 Road Bridge. The Estuary beat opens on 1st April and is fly only until 1st May. Worm and fly can be fished from 1st May until 15thSeptember, then fly only to 31st October. Both banks of the estuary can be fished. The beat starts slightly upstream of the Cruive Cottage and both banks can be fished down to the Bridge Pool at the Averon Centre. Fly and worm can be used until 15th September then fly only to 31st October. Downstream of the Averon Centre the left hand bank is fly only all season. Beat ends at the estuary boundary at the site of the old swing bridge. The right hand bank may be fished by Club members only to the end of the island, worm and fly can be fished on this stretch. The Novar water of this beat is fly only. The left bank (golf course side) is from the top of the Cruive Pool upstream to a white marker at the top of the Douglas Pool. Then both banks are fished up to the "Private Fishing" marker until 31st October. The Crown water is the right bank from the top of the Cruive Pool to the top of the Douglas Pool and is both fly and worm until 15th September, then fly only to 31st October. Fly fishing from boat only, strictly no bank fishing. The boat is available by contacting 01349 882423. Lifejackets are provided and juniors are welcome if accompanied by an adult. The fishing is on alternative days, please check in advance. General reminders for all beats. No fires or dogs permitted. No spinning and fly reels only. No fishing from Saturday midnight until 6am Monday morning.